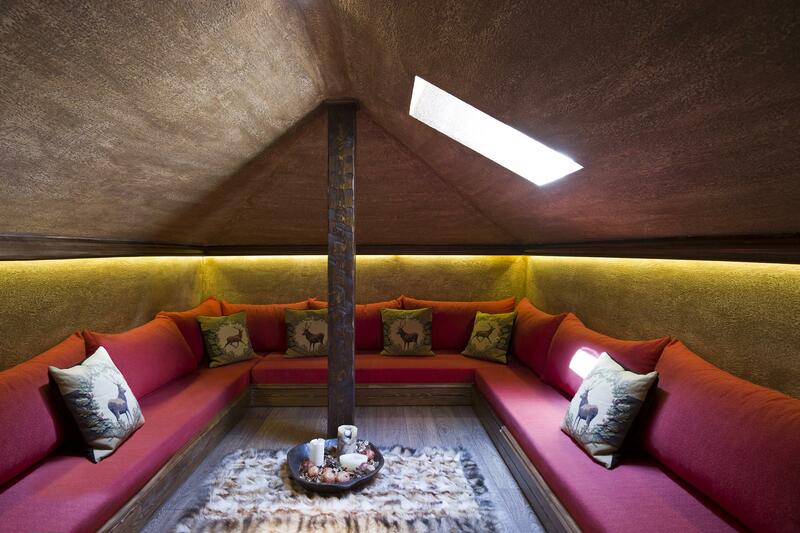 ΕHere visitors can enjoy our hospitality while admiring the separate crafted ceilings, surrounded by textiles made from artisans and weavers of our region. 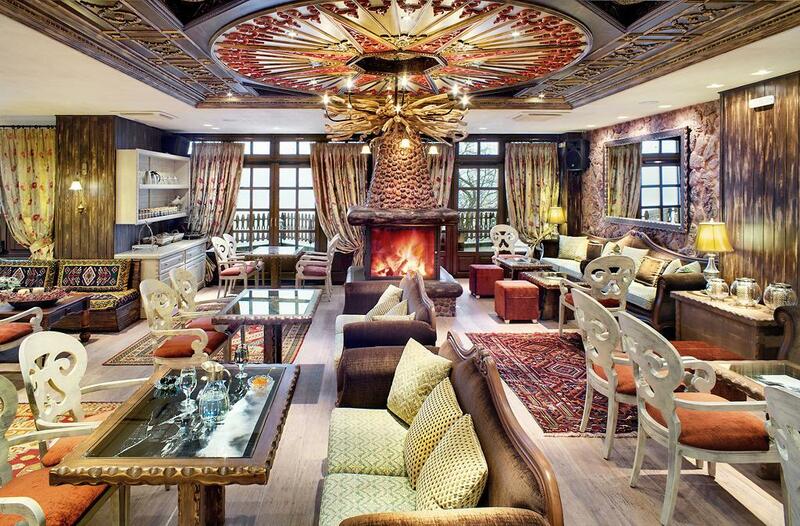 Dining area, you can enjoy traditional dishes from around the fireplace, embrace the stunning scenery. 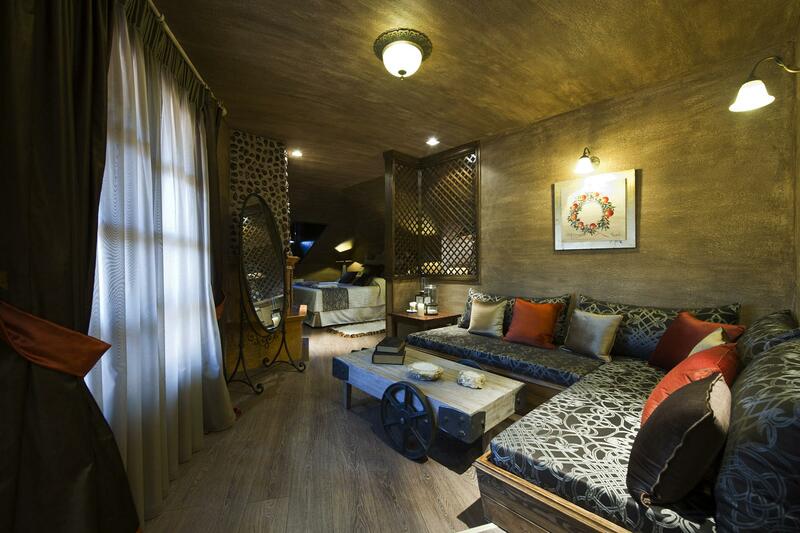 Aroma Dryos is the perfect destination for those who want to combine the beauty of nature with luxury and left the warmth offered by spaces, decorated with taste and traditional luxury. The “Aroma Dryos” hotel has 16 rooms, as unique and natural as the different trees the rooms were named by. 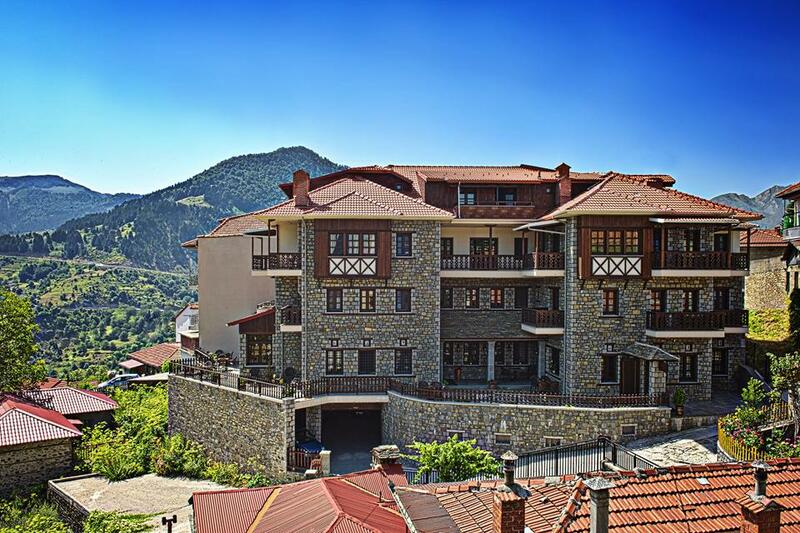 They offer a fireplace and balcony with a magnificent view over the mountains of Pindos and the traditional buildings of Metsovo. Their special decoration brings out a unique sense of hospitality in every corner. ‘All rooms are inspired by traditional designs, like the doors that represent authentic old patterns from Metsovo local textiles, and the furniture, designed by our architect or selected from French and American famous brands. 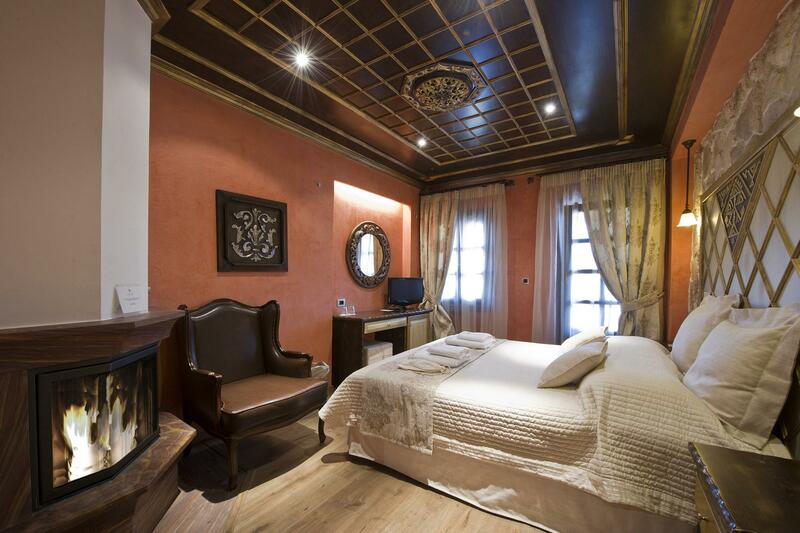 The colors, the fabrics, the materials, the different wood carved ceilings in the rooms, create a scenery that looks like it came from the past to live in the present, providing an ideal destination, for moments that will remain in the future.